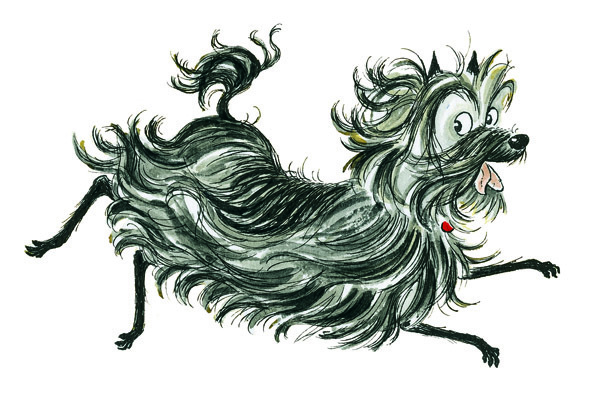 Lynley Dodd’s name is synonymous with that unkempt dog, Hairy Maclary. He’s mischievous and devious, but loveable all the same. In fact, he’s quite plain and as Dodd explains, he does quite ordinary things. It is this characteristic that has made Hairy Maclary such a success story. He’s international, a megastar amongst pooches. He got a mention on Coronation Street the other month and Tony Blair once read him aloud on BBC television. Not bad for a backstreet mongrel. But what do the public know about this quiet and humble Tauranga artist? Born Lynley Weeks in 1941, she grew up amongst the forests in and around Rotorua. Her father worked for the New Zealand Forest Service, her mother a homemaker in places so small that Dodd corrected me when I referred to them as small towns. The largest community consisted of ten houses. Educated at Iwitahi School and then Tauranga College in the 1950s, Dodd was fortunate to be taught by Claudia Jarman (1908-86), an art teacher who could instill fear and artistic passion at the same time. Dodd, a private boarder for four of her secondary school years then returned home in 1958 to study her Fine Arts Preliminary through the New Zealand Correspondence School. The following year, Dodd alongside Don Binney, Michael Smither, Suzanne Goldberg, Greer Twiss, Malcolm Warr and Graham Percy studied at Elam School of Fine Art, Auckland. A drawing completed on her first day, of a standing female classical plaster of Paris sculpture, is testimony to her ability at observational drawing. Dodd majored in sculpture, her teachers included: John Kavanagh, Robert Ellis, Peter Brown, Jim Turkington, Jim Allen, John Weeks and Louise Henderson. Peter Tomory, the Director of Auckland City Art Gallery, took Dodd and fellow students for History of Art and History of Architecture lessons. Like so many of her generation, Dodd went on to complete a year at Auckland Teachers’ College, under the tutelage of Peter Smith. Drawings made while teacher training demonstrate her penchant at this early stage for narrative and storybook art. After teaching at Queen Margaret College, Wellington, for five years, Dodd freelanced for the Correspondence School and Price Milburn, an educational publisher. Of the work she completed for the New Zealand Correspondence School, Dodd explains that often she was asked to mimic the style of another to continue an existing storyline in the same style. Not comfortable with this, Dodd set about to cement her own style. These early images already show what we now know as her stylistic traits – wispy linear renderings of busy animals. None of the originals survive. As Dodd tells, ‘original art was kept by the publishers in those days, no one asked for it back, it was made clear that they had purchased the work’. For a period during the 1970s, as a personal amusement, Dodd drew several cartoons with degrees of success. Her 1974 cartoon, depicting devouring rodents, won first prize in the National Anti-Litter Campaign Council competition. Other cartoons considered subjects such as carless days and feminism. In the mid 1970s Dodd illustrated her first book, My Cat Likes to Hide in Boxes. Still in print four decades later, this book was a collaborative effort with Eve Sutton. Sutton was keen to write a book but was short of a subject. Dodd offered the suggestion of the family’s cat whose weakness was hiding in boxes. Simple. This gem of a story was the beginning of something huge for Dodd. What followed were numerous books written and illustrated by her. These words were penned in 1979 and though slightly different from the words so familiar to us know, the spirit of Hairy Maclary was thus created. These words would change Dodd’s life forever. The fame of Hairy Maclary grew from 1983 and has not slowed down. There’s a gang of animals, all equally quizzical and on the lookout for trouble. But as Dodd explains, there are happy endings. Adventures end with good morals. And for those of us with feet firmly in the real world, there are no elements of fantasy or Harry Potter type moves. As a writer Dodd has often focused on the underdog. For example, The Other Ark is a story about the animals that didn’t make the first cut on Noah’s Ark. Obviously they did not approve of Marmalade Mammoths, sabre-tooth mice or dithering dingbats! However, the price to pay with this book was that the Americans wouldn’t have a bar of it – especially the Fundamentalists. It’s done well elsewhere including New Zealand, Australia and Britain. 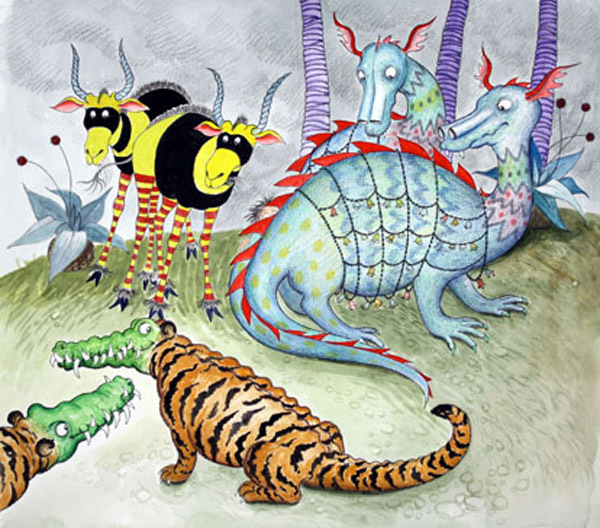 Hairy Maclary and friends are often based on real animal tales. Dodd has called on her own experiences as a pet owner numerous times. And it’s hard not to share stories of animal antics with her. She admits to receiving much post from readers telling of their animal stories. 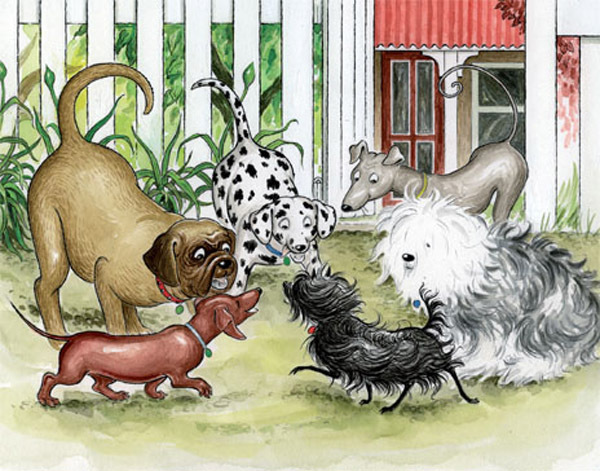 Lynley Dodd: A Retrospective is a celebration of Dodd’s work to date. The first work dates back to school days and the most recent, Shoo (2009). 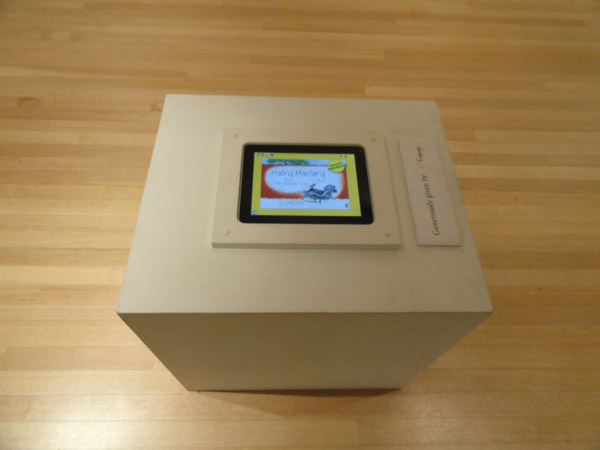 Dodd works completely by hand, in other words she does not use digital imagining to assist her in any way. 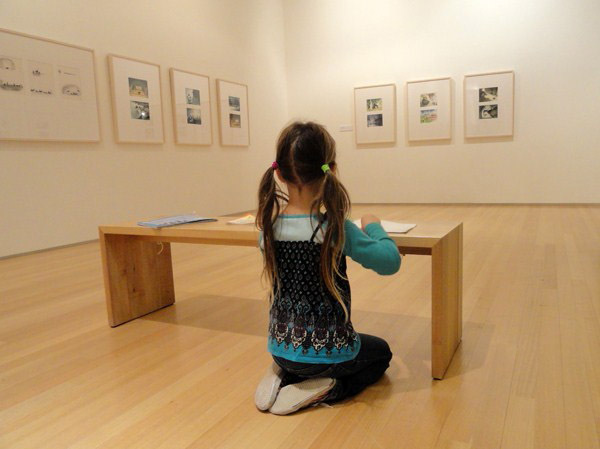 Somewhat nervous about letting her drawings leave her hometown of Tauranga, the drawings on display have not been exhibited previously. Beautifully executed, they are magical pieces of illustration. Early examples show colour keys for the printer to follow. Different stages of her process are on exhibition including page layouts and notations with printing instructions. With all these books under her belt Dodd admits writing and illustrating children’s books is not easy. She manages about one a year and is quick to correct wannabe writers that it’s an easy task. Dodd can agonize for days over getting four lines to rhyme. They have to rhyme, that’s where the magic is. And it’s the singsong nature of her books that make them stick in our minds even if we haven’t read them for more than a decade. Dodd hasn’t run out of ideas and says she’ll continue to create her books as long as they keep on coming. Inspiration comes too from her favourite writers such as Quentin Blake and Dr Seuss. Dodd has enjoyed various accolades having been the recipient of many awards. In 1984, 1986, 1988 and 1992 she won the Children’s Picture Book of the Year Award. In 1999 Dodd was awarded the Margaret Mahy Medal. In 2005 Dodd was made the Children’s Choice Winner – New Zealand Post Book Awards for Children for The Other Ark. 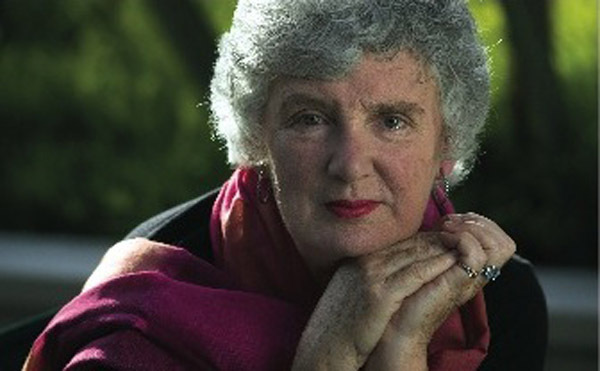 Awarded the Distinguished Companion of the New Zealand Order of Merit in 2002, Dodd became Dame Lynley Dodd in 2009 as well as being awarded an honorary Doctorate from the University of Waikato. In the same year Dodd received a Distinguished Alumni Award from the University of Auckland. Yet for Dodd success is measured by the love children have for her books. 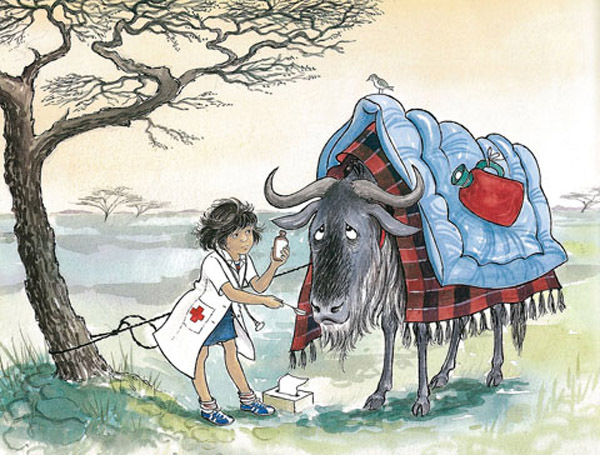 Over 5 million copies of Hairy Maclary books alone have been printed and sold. Trademarked to protect his New Zealand identity, Hairy Maclary has been translated into several languages. This little dog is an international character but it is creator, Lynley Dodd who is the magic behind these stories and this exhibition. Penelope Jackson, Director Tauranga Art Gallery. 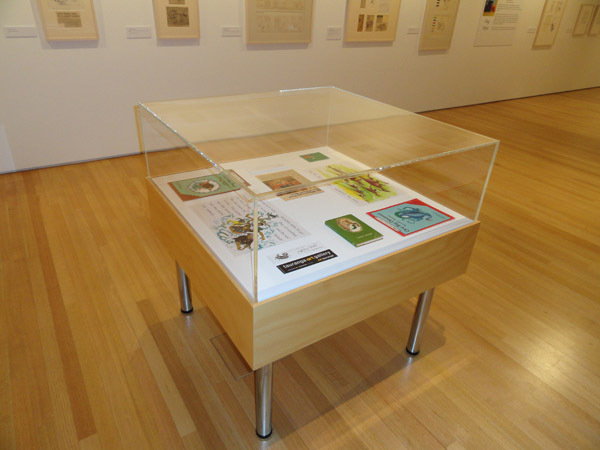 The exhibition has already been exhibited in Tauranga and Rotorua. It was estimated in Tauranga that up to four schools booked every day, plus they often received unanounced visits from kindergartens and creches. Lynley Dodd also participated in talks and book signings at both venues. She has indicated that if available and ‘deadline free’, she would be happy to attend public programmes events at venues. 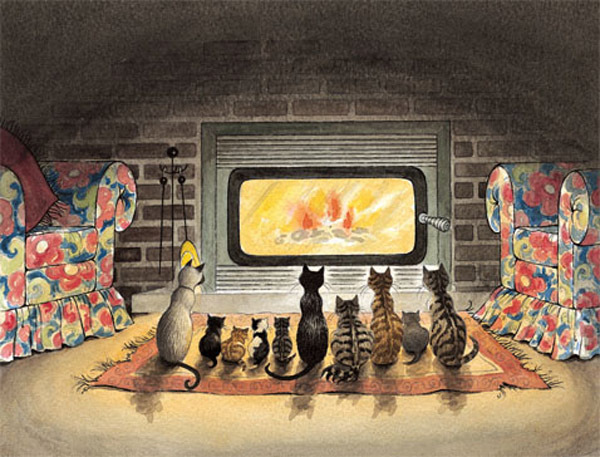 Lynley Dodd – A Retrospective was developed by Tauranga Art Gallery. This entry was posted in Past Tours on September 11, 2013 by Admin. 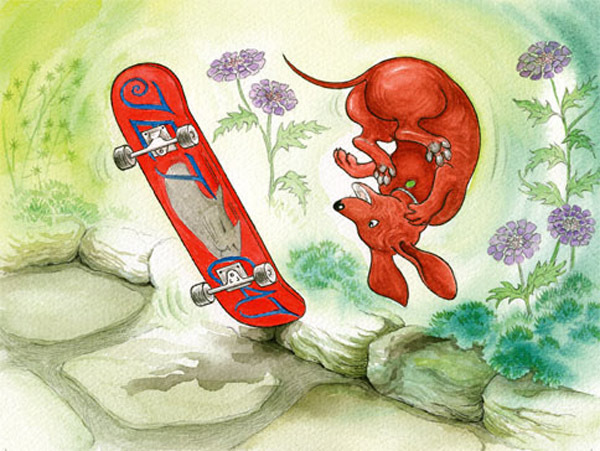 Lynley Dodd books can be sold through venues. Wholesale prices to be confirmed with Penquin Books NZ. Sarjeant Gallery. 10 March – 27 May. 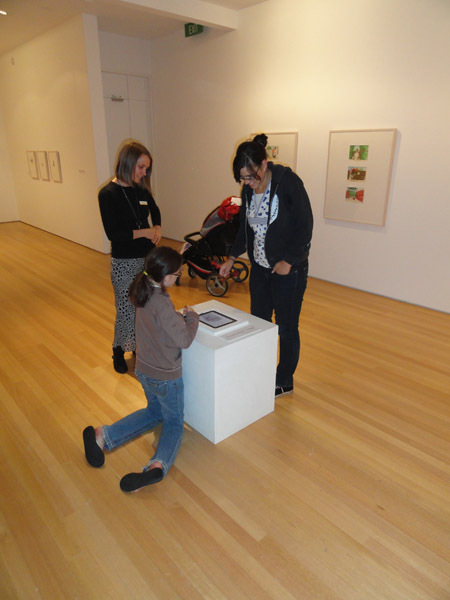 The Dowse, LH 21 July – 28 Oct.
Tauranga Art Gallery, 10 Nov – 13 Jan.
Waikato Museum. 26 Jan – 24 March. Puke Ariki, NP. 5 April – 6 June. Nelson Provincial Museum. 19 July – 29 Sept.
Rockhampton, Qsld. 29 Nov – 2 Feb 2014. Tairawhiti, Gisborne. 15 August – 12 October.